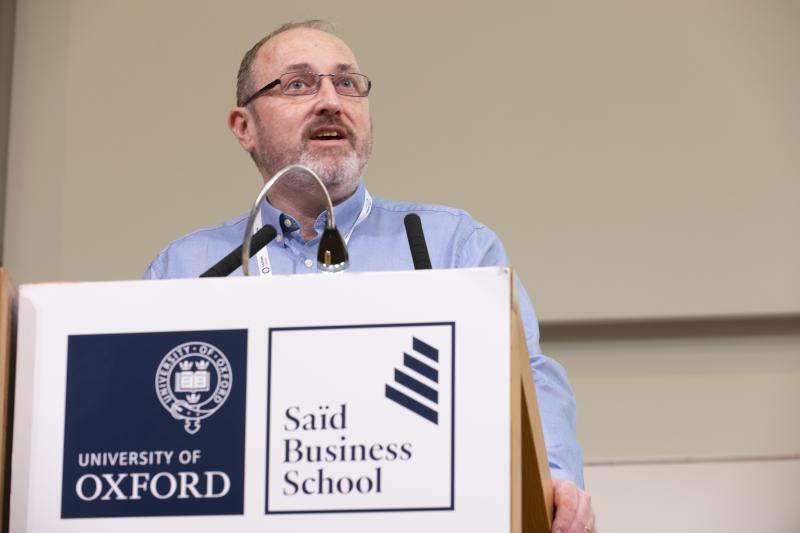 The joint Cochrane UK and Cochrane Ireland symposium (#CochraneInspires) took place in the beautiful settings of Oxford in March 2019. 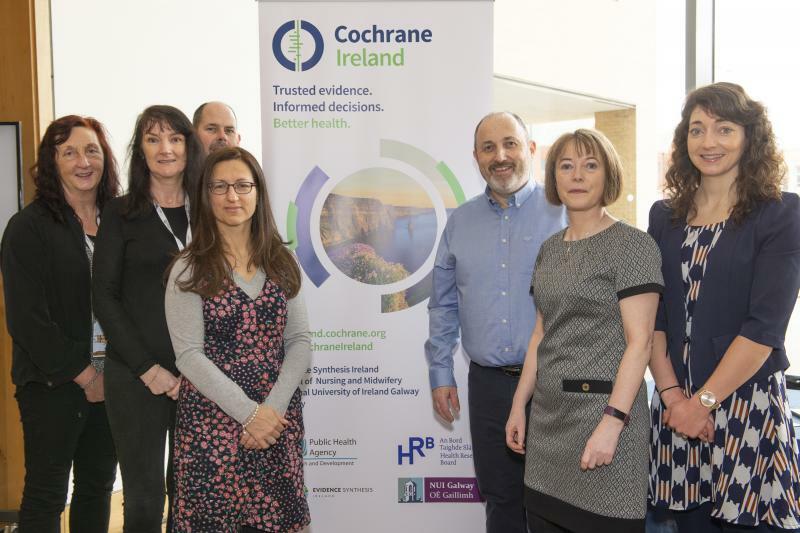 This event included the official re-launch of Cochrane Ireland within the new Evidence Synthesis Ireland initiative (funded by Health Research Board/Public Health Agency of Northern Ireland), as well as a host of capacity-building workshops and knowledge exchange between the Cochrane community. 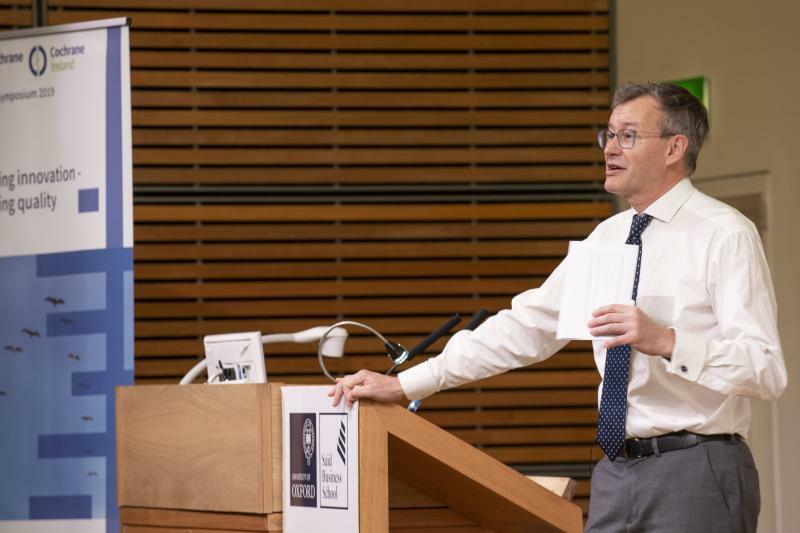 Day 1 kicked off with a sincere welcome from Cochrane UK Director Professor Martin Burton, who outlined the schedule of events for the two days. First up was Cochrane Ireland Director Declan Devane and Associate Director Elaine Toomey who presented on the new initiative and plans for the year ahead. This included outlining our plan of training workshops and webinars, as well as our upcoming fellowship and studentship models. The presentation was received warmly with some engaging questions from the audience – keeping us motivated and on the ball! Cochrane Ireland Director Professor Declan Devane launches Cochrane Ireland! Dr Kit Byatt asking the tough questions! Cochrane Ireland Assistant Director Dr Elaine Toomey answering the tough questions! The rest of the morning sessions on Day 1 were a fantastic eye-opener into a multitude of different activities and innovations, from making us question our sustainability and ‘carbon footprint’ within health research, to tips for knowledge translation and dealing with Twitterstorms and involving patients and members of the public in systematic reviews. After a healthy lunch (practicing what we preach! 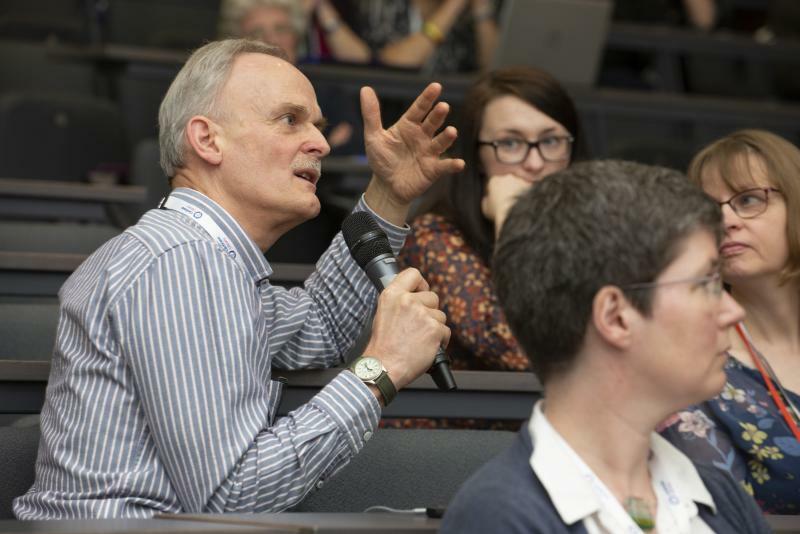 ), a series of workshops on a variety of topics including network meta-analyses, assessing risk of bias, the Cochrane Register of Studies and meaningful consumer involvement. The next morning dawned bright and early, after our night of being wined and dined in style in the picturesque and historic Trinity College. In addition to a number of workshops covering PICO, Revman Web and review overviews, our own Cochrane Ireland trainers Dr Linda Biesty and Dr Pauline Meskell delivered a riveting workshop to a packed room on qualitative evidence synthesis with Dr. Andrew Booth from University of Sheffield. The workshop also gave us a taste of what’s to come, with our next qualitative evidence synthesis workshop with Andrew planned for September, as part of our year’s training programme! The afternoon finished with more workshops looking at common issues in Cochrane reviews, the new Screen4Me searching tool (wow!) and words of wisdom on knowledge translation strategies and top tips for all of us to communicate our work! 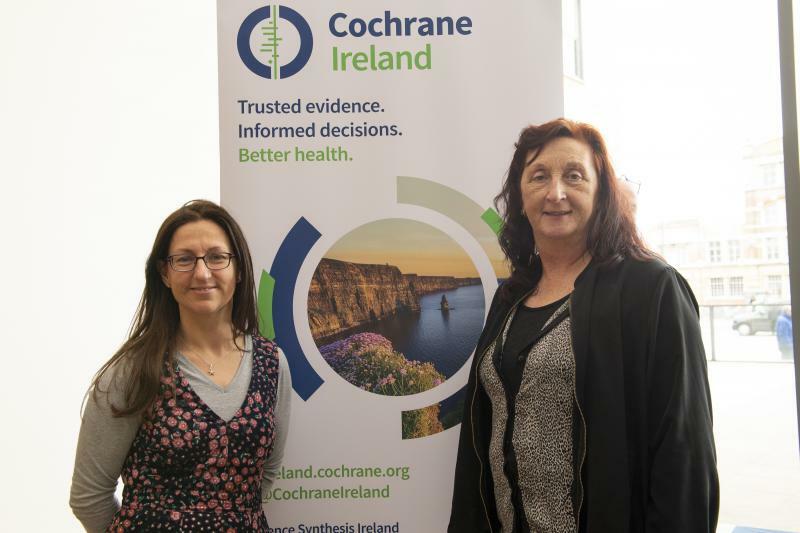 In summary, our first joint symposium with Cochrane UK within our new initiative was a fantastic experience, and a wonderful chance to meet old friends, make new ones and develop and strengthen our networks and collaborations with Cochrane community both in Ireland, the UK and beyond. In particular, we were delighted to award three well-deserved sponsored places to Dr Catherine Waldron, Ms Ciara Ni Laighin and Ms Claire Sweeney, who are featured here on our website. 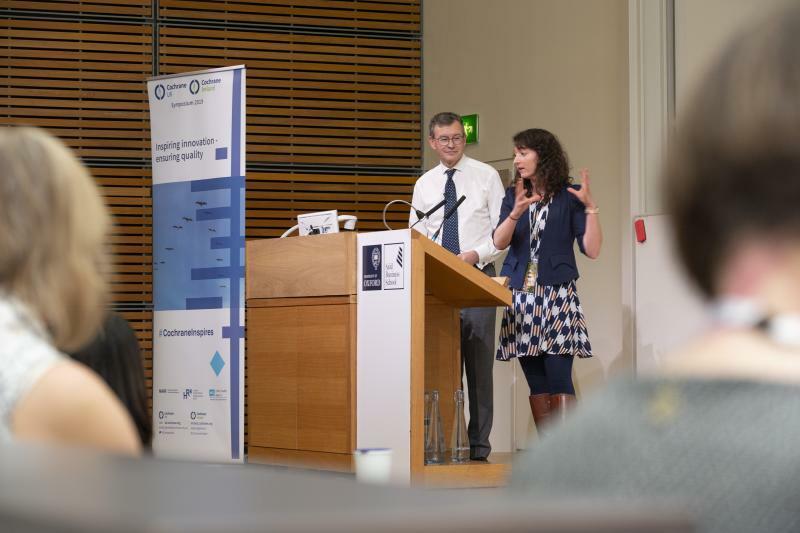 We’d like to say a massive thank you to the Cochrane UK team who supported and facilitated this joint symposium. They have gone above and beyond in helping us make the relaunch of Cochrane Ireland the success it is. We look forward to continued engagement and friendship – watch this space for the next joint symposium in April 2019 in Dublin! 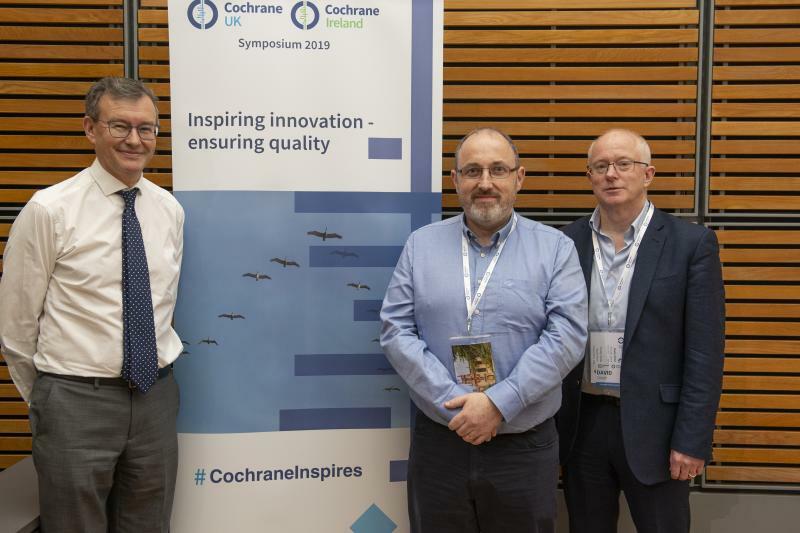 Cochrane Ireland announces the winners of sponsored places at Cochrane Ireland and Cochrane UK joint symposium 2019! Claire studied pharmacy as her primary degree in Trinity College Dublin and subsequently undertook a Masters in Pharmacy in RCSI. She is a registered pharmacist and spent several years working in the community pharmacy setting. 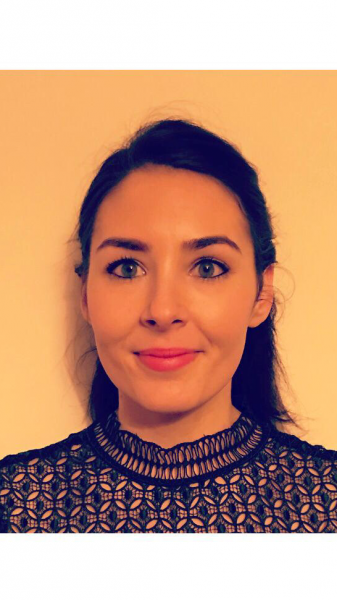 In 2017, Claire graduated with a Masters in Public Health from UCD, and proceeded to undertake a position in the centre for Applied Research for Connected Health, where her research focused on leveraging connected health technologies to re-design healthcare paradigms. 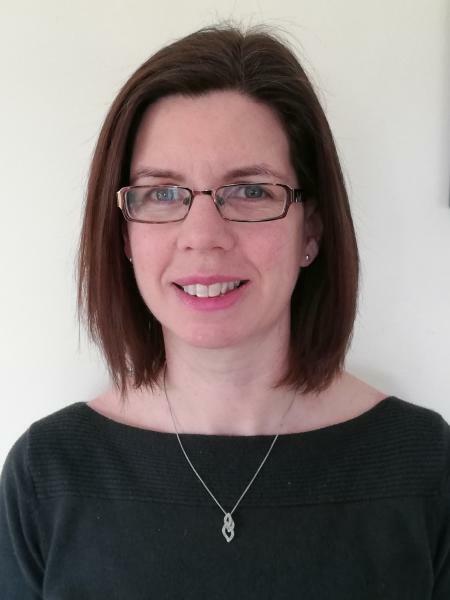 In 2018, Claire began working for the Heartbeat Trust as a Clinical Trials Pharmacist on an investigator-led, single centre trial, aimed at investigating whether sacubitril/valsartan has beneficial effects on the heart and blood vessels of patients with risk factors for health failure. She is also undertaking a PhD examining the effects of genetic variants of the natriuretic peptide system on phenotypes, clinical outcomes and response to therapies in a community population. Ciara graduated from the University of Ulster in 1998 with BSc(Hons) Radiography followed by PgD Computed Tomography. Ciara worked in general and trauma imaging in Belfast and Ontario before moving to Limerick. She gained her MSc in Obstetric Sonography in 2008 and has worked in the University Maternity Hospital in Limerick (UMHL) since then (taking some time out for her own maternity). In 2014 Ciara began working part-time for the University of Limerick Graduate Entry Medical School (GEMS) in conjunction with the Perinatal Ireland research network, which uses ultrasound technologies to improve diagnosis in utero. Currently, Ciara co-ordinates the HRB Mother& Baby Clinical Trial Network ‘PARROT’ Trial in UMHL; a multi-centre trial which aims to assess Placental Growth Factor testing in women with suspected pre-eclampsia. She supports local research and audit, working with both PhD candidates and undergraduate medical students in UL GEMS. Ciara also continues her clinical practice, scanning in the UMHL ultrasound department. 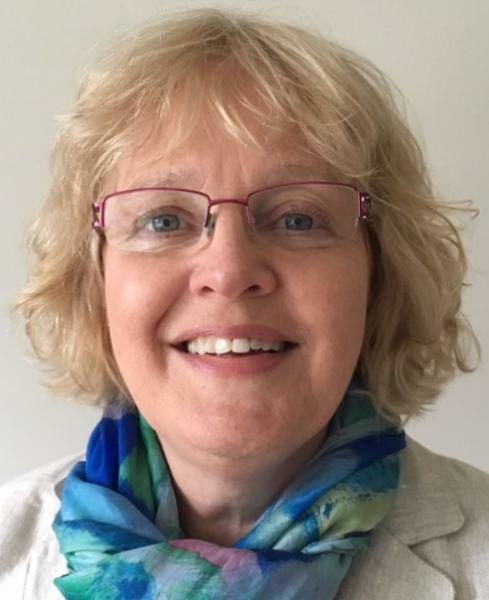 Catherine Waldron lecturers in dentistry and health promotion, with extensive clinical experience and enthusiasm for empowering patients to improve and maintain their oral health. She has a Masters by Research on the topic of Communication Skills in the clinical setting and a Masters in Health Promotion on the topic of Smoking Cessation. She was awarded a 1252 Student Scholarship by Trinity College and the Dublin Dental University Hospital to do a PhD in Special Care Dentistry, completed just this month, and a Cochrane Fellowship from HRB and Cochrane Ireland. Her PhD thesis included a Cochrane review of oral hygiene interventions for people with intellectual disabilities with Cochrane Oral Health, publication pending. She is actively involved nationally and internationally in her profession and is a past president of the Irish Dental Nurses Association and Irish Dental Hygienists Association and a past Vice-President of the International Federation of Dental Hygienists.